6-32mm drop forged chrome vanadium steel spanners. Set contents: 6 x 7, 8 x 9, 10 x 11, 12 x 13, 14 x 15, 16 x 17, 18 x 19, 20 x 22, 21 x 23, 24 x 27, 25 x 28, 30 x 32mm. 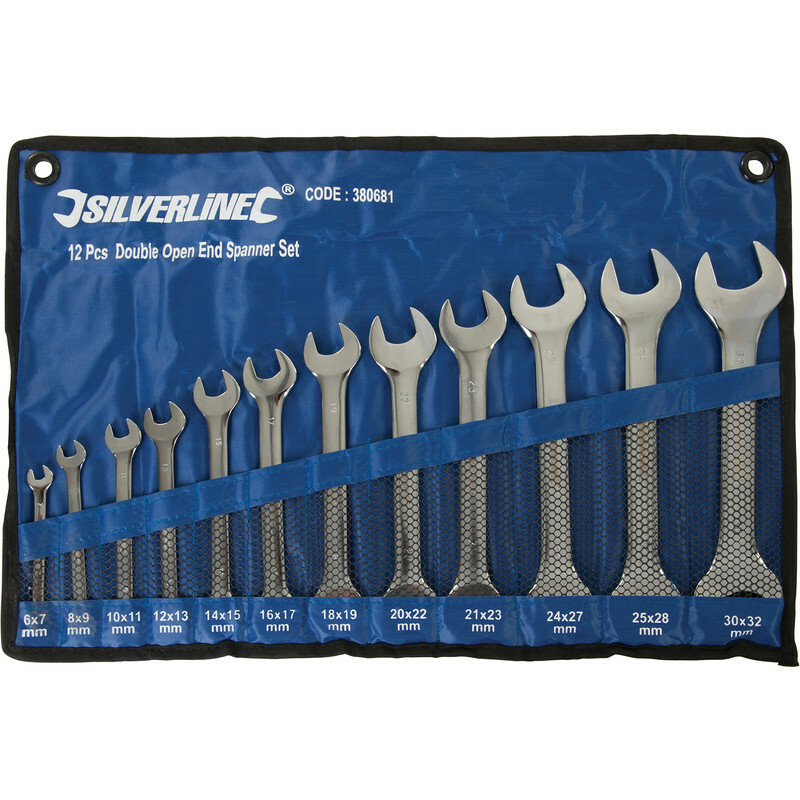 Double Open Ended Spanner Set (12 Piece) is rated 4.8 out of 5 by 4. Rated 5 out of 5 by Pinder from Open ended spanner set Excellent quality these spanner’s gave me access to plumbing that was in a tight spot where adjustable spanner had limited access. Good investment.